SOMEBODY please work out how many individual car parks stand to be LOST from the CBD —all down to Council making things TOUGH for vehicle users in the Central City. 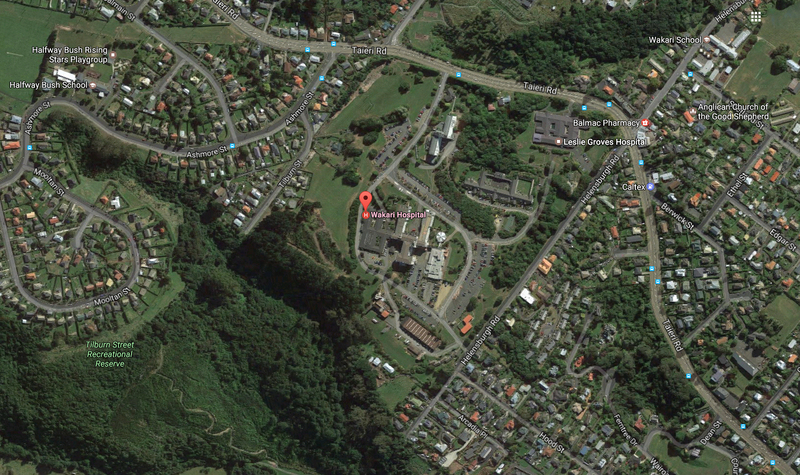 1) Rerouting of SH1 one-way through Warehouse area and Queens Gardens ? 2) New segregated cycleways on SH1 one-way system from Warehouse area to North Dunedin ? 3) Pedestrianisation affecting Octagon, lower Stuart St and sections of George St ? 4) Hotel and apartment building, Filleul St/Moray Place ? 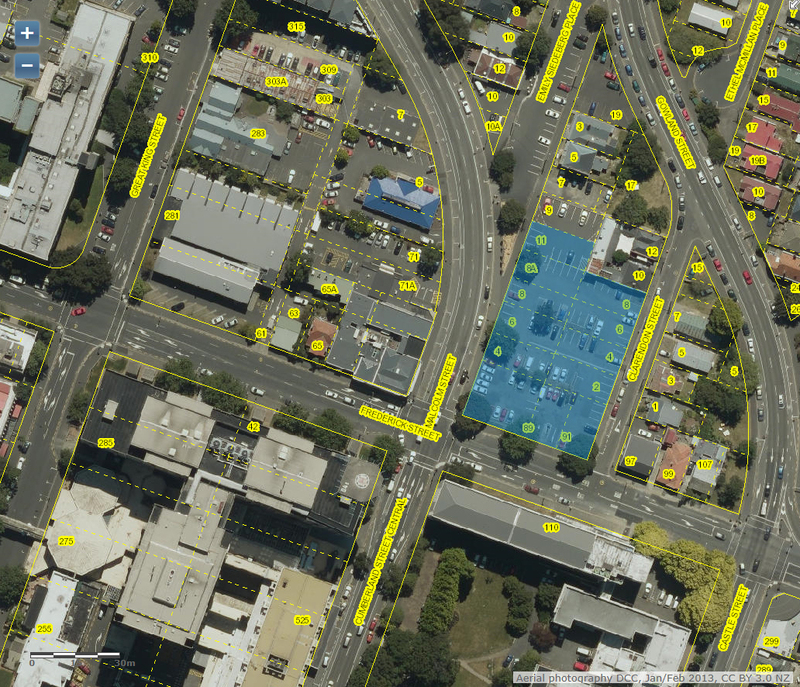 6) ACC office building for Frederick St Carpark ? 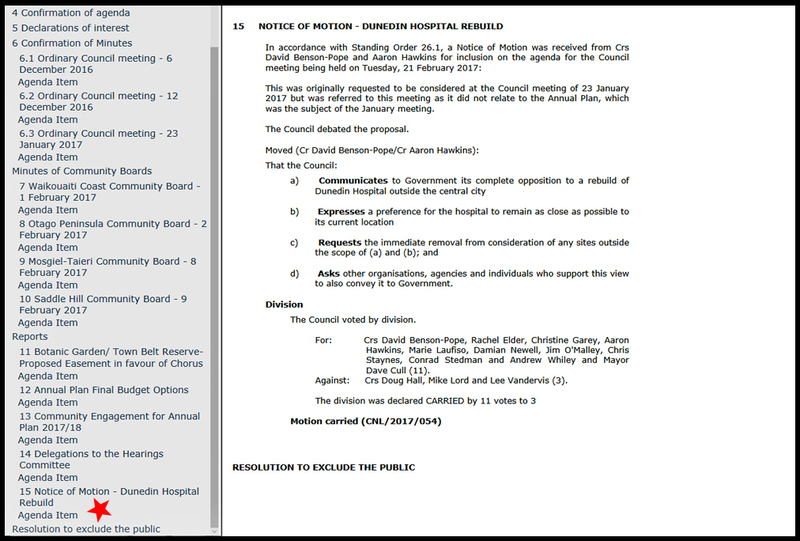 7) New Hospital, block bounded by Cumberland, Frederick, Castle and Hanover Sts ? 8) ORC bus hub (interchange) for Great King St and vicinity ? 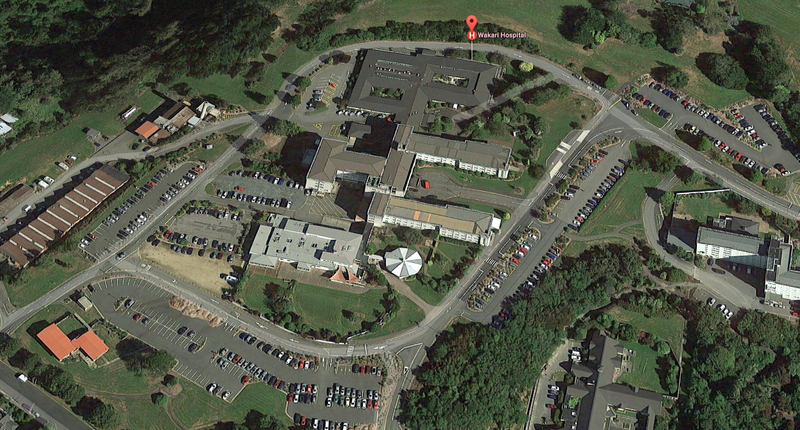 DCC Webmap or Google Earth will give the relative range of car park numbers. 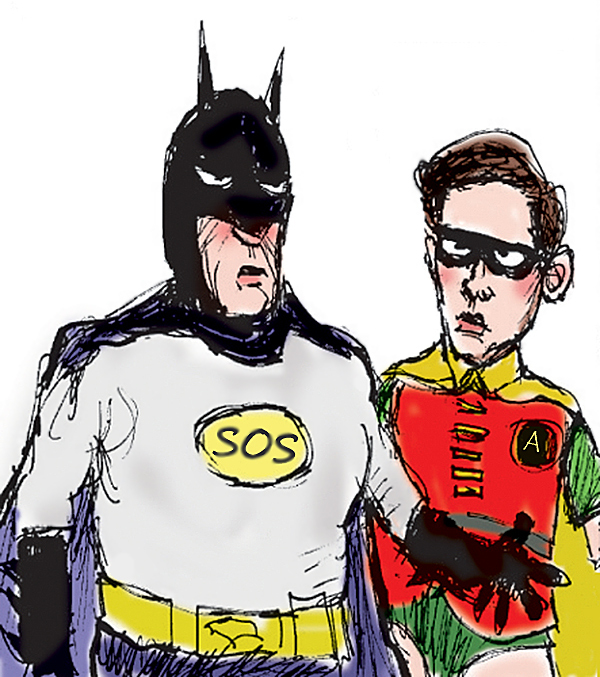 A quick sum will do. Mayor Cull might wonder why there’s little or no “growth” likely for Dunedin. Apart from lack of on street car parking, another starter : the city’s ‘health and position’ is undermined by the degraded Aurora power network that offers NO security of supply ahead. What does this mean for Businesses and Ratepayers via increased Rates and Line Charges, how many Business and Ratepayer defaults ?? After 25-30 years of deliberate neglect to the Aurora network, striving for “economic development” at Dunedin is nigh “Mission Impossible”. 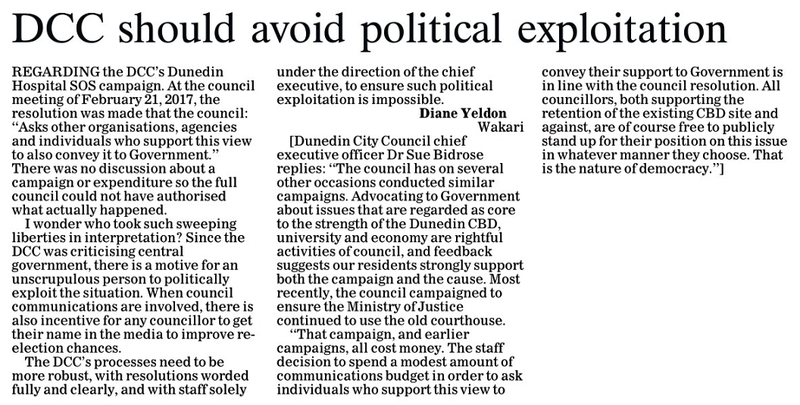 DCC can’t afford to bring the Aurora network up to compliance —as Mayor Cull was told last Tuesday in a private meeting, it will cost a Billion Dollars to do renewals in Dunedin and Central Otago (not counting new build facilities to meet demand in Central Otago). 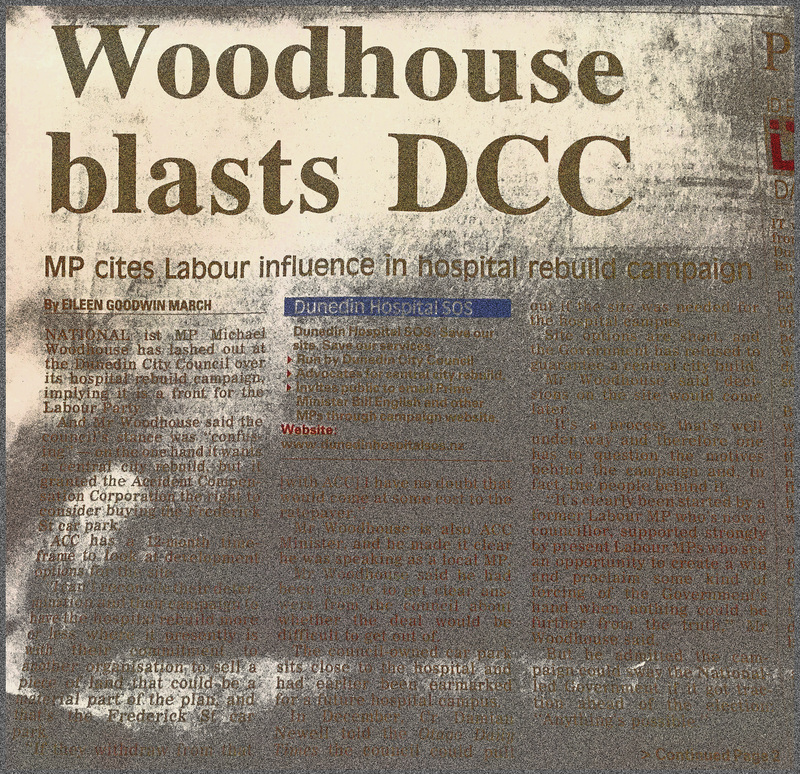 DCC are well and truly caught with their pants down. THE BEST THING Central Otago people can do is buy their power network. 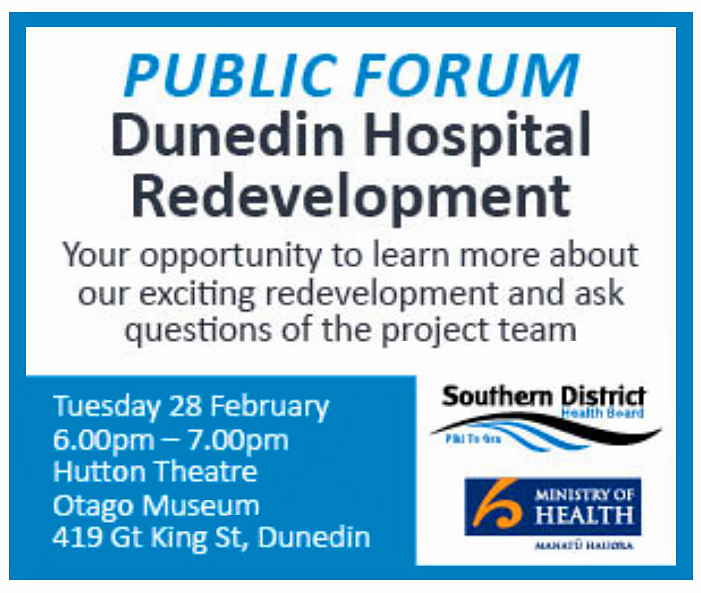 Once made Safe, their network will generate revenue for expansion across CODC and QLDC growth areas ….Leaving sorry old Dunedin to an impecunious spiral of doom and disaster. How to rid the Dunedin millstone should be uppermost in Central Otago leaders’ minds right now. The Mayor and Councillors might think it’s AOK to skip out of an agreement with Southern Partnership Group, the Government-appointed hospital rebuild group…. 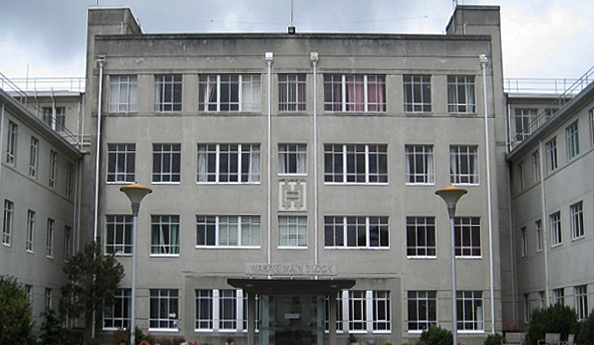 SDHB and University of Otago had hoped to coordinate their future use of Frederick St carpark; it was a practical and logical proposal for university health sciences and the hospital precinct. Until…. the Accident Compensation Corporation (ACC) came along, with DCC then deciding to go for a quick buck. Why didn’t DCC offer ACC the Dowling St carpark, instead ? —a better centrally located construction site for the Corporation office building would be hard to find, one that could include public parking on its lower levels (and say BYE to ‘ORC imperialism’). Squirrelling the Frederick St plum to ACC is the dumbest thing this Council could do. Student graduates – if that is the Mayor’s excuse for the Frederick St debacle – are quite capabable of walking to Queens Gardens for future employ. Really, there never was a more useless ineffectual Southern town on the map. It has every deterrent sign needed for raccoons and new business. Tumbleweeds, cloned by Mayor Cull. 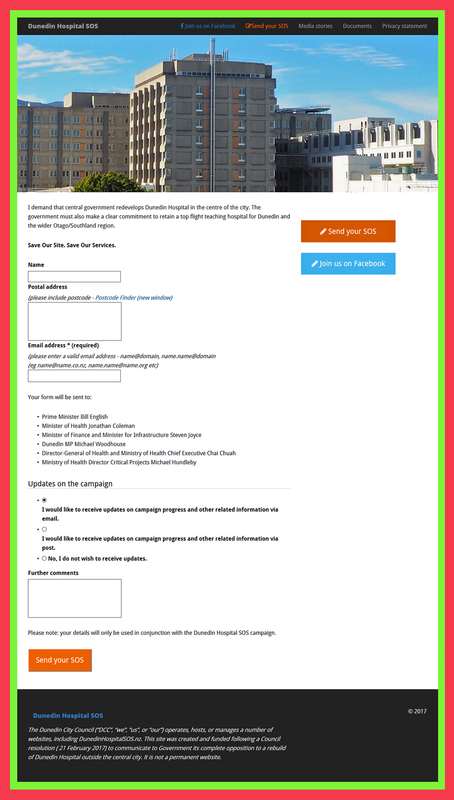 Is Southern Partnership Group running scared after finding out how much it costs (a massive sum) to deal to Aurora’s transformer installation located inside the block bounded by Cumberland, Frederick, Castle and Hanover Sts – first site option for the hospital rebuild ? The network facility comprises old transformers that could blow at any time. Of poor design, the transformers are not isolated from each other : if one transformer blows, they all do. To fuel the fireball, the transformers sit in a pool of oil. 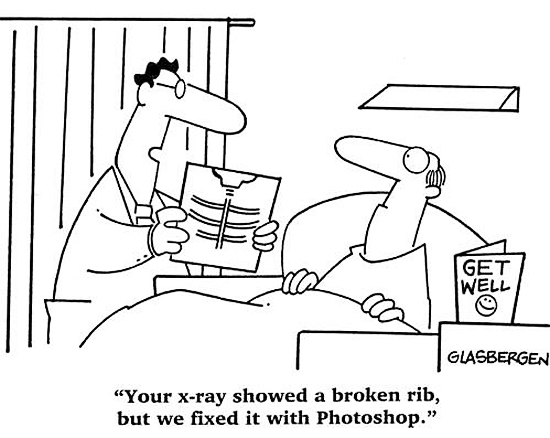 The cost to replace or relocate the facility is enough to ‘blow’ the hospital rebuild budget. OTHER site options for the hospital rebuild rapidly gather impetus. 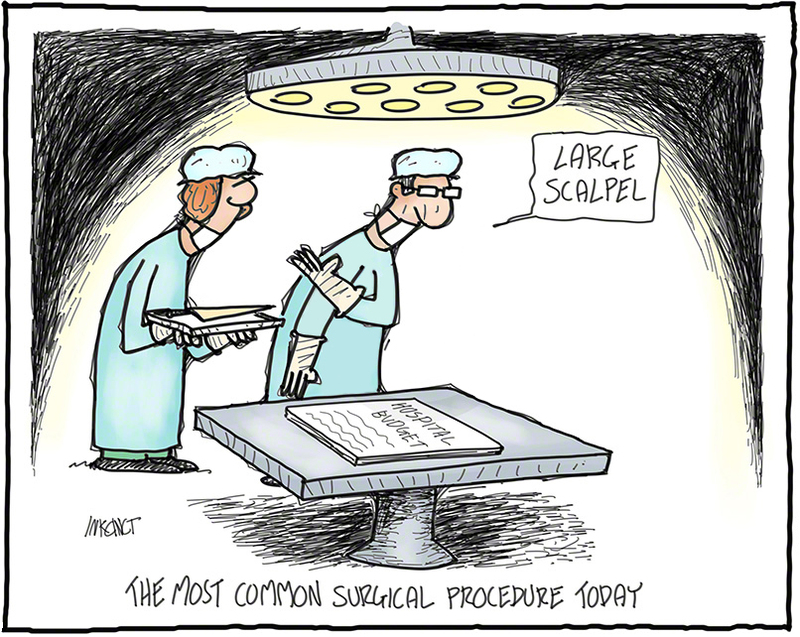 The “somewhere else” option is likely to be Wakari Hospital. 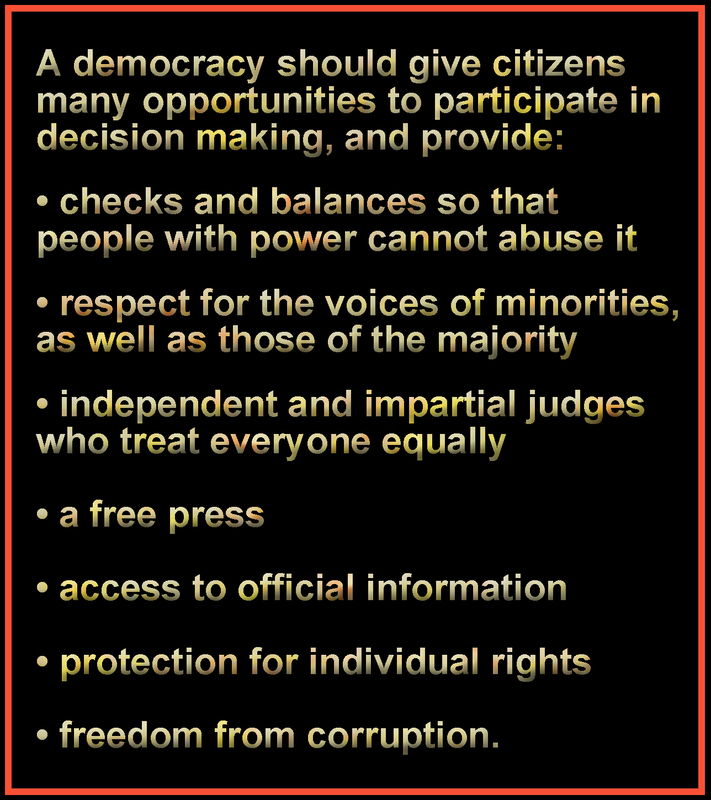 No final decisions will be made until 2018. 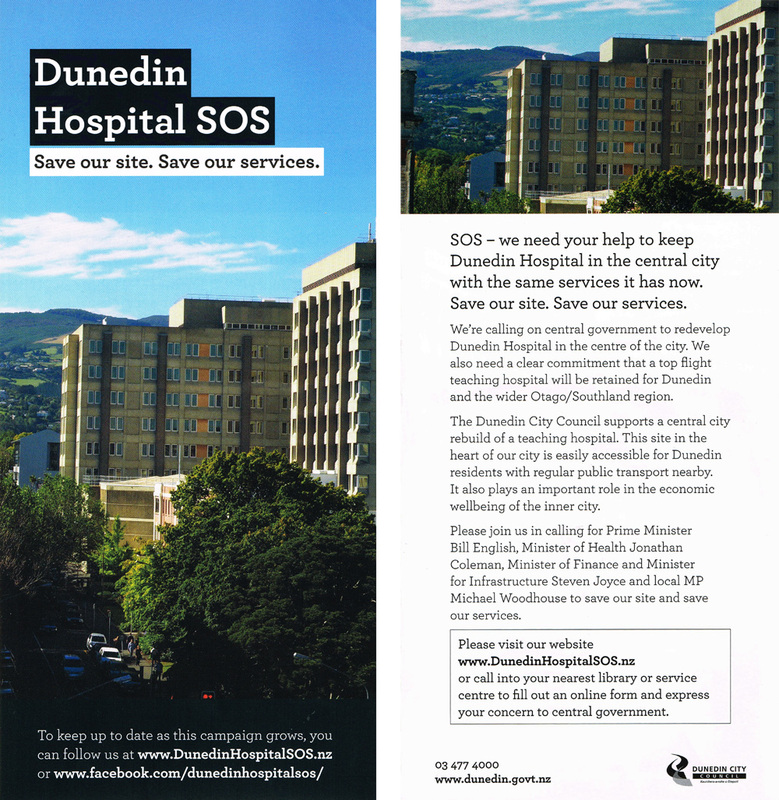 The Government is considering shifting Dunedin Hospital away from Great King St. A “long list” of site options for the $300 million hospital rebuild includes shifting “all hospital facilities” to a different part of the city. While there has long been speculation about another site, the possibility was revealed in a press statement from the Government-appointed rebuild group. 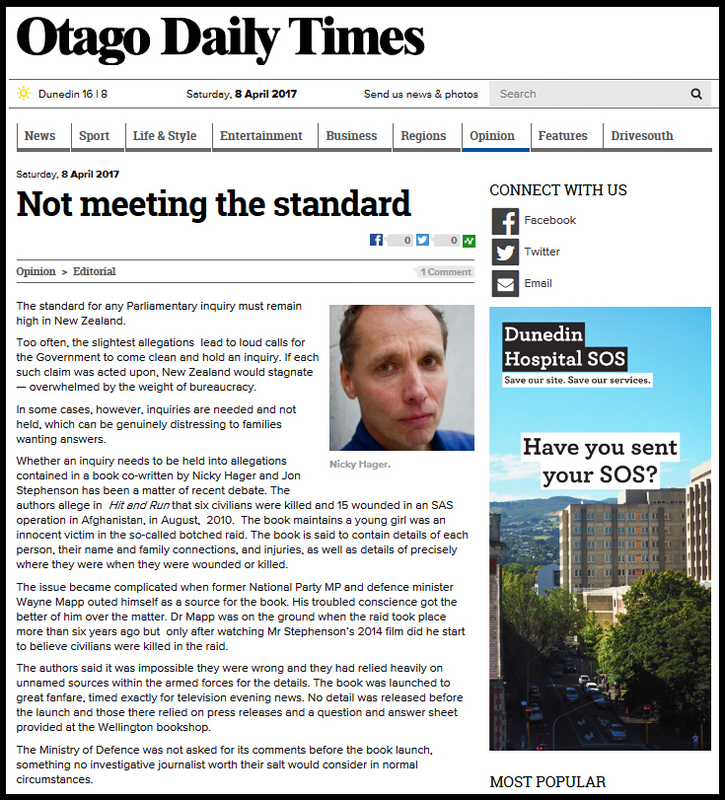 Southern Partnership Group chairman Andrew Blair declined to release the long-list document to the Otago Daily Times, saying it was a “work in progress” … The list was written by consultants, the Ministry of Health, the Southern District Health Board and the partnership group. 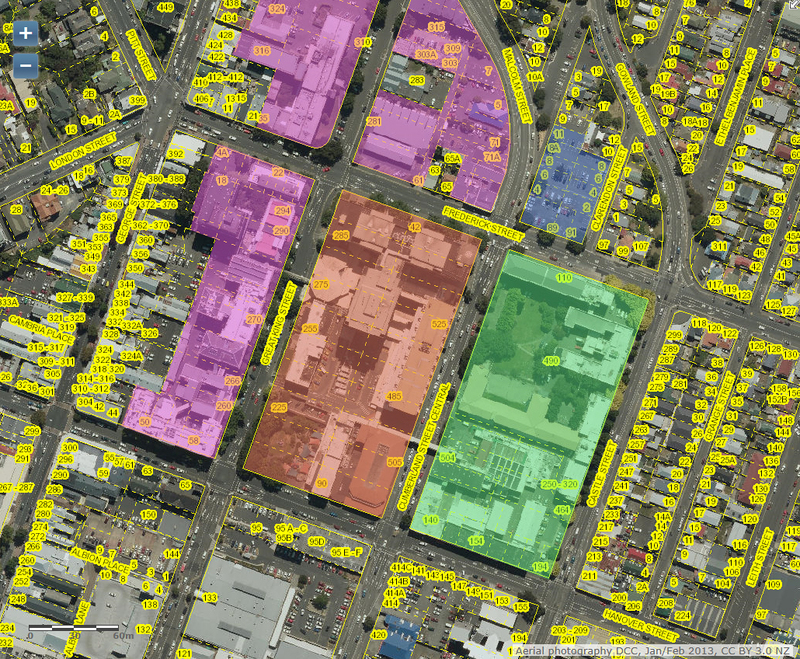 If the public hospital was to move from the CBD…..
● Potentially, (ahem) MORE carparks available in the CBD !! 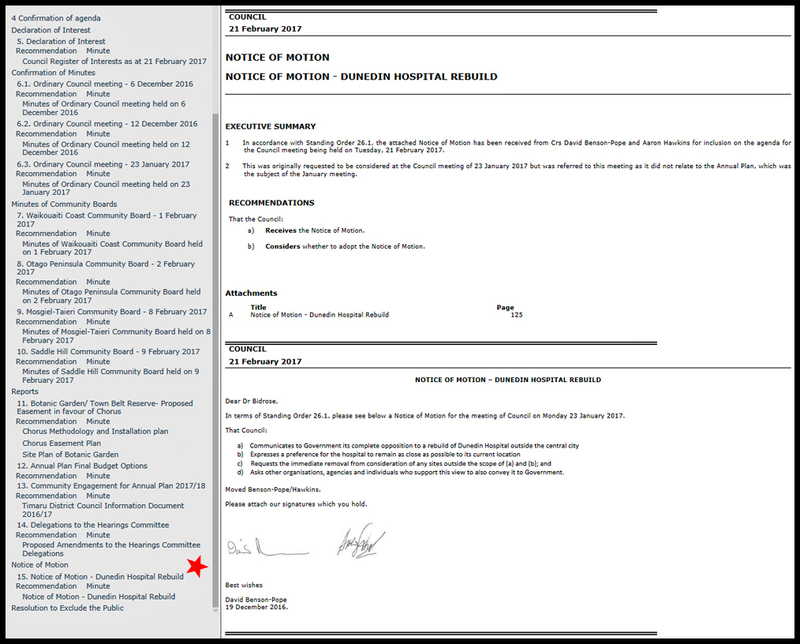 ACC given 12-month exclusive due diligence period with view to buying Frederick St Carpark to build multi-storey building. 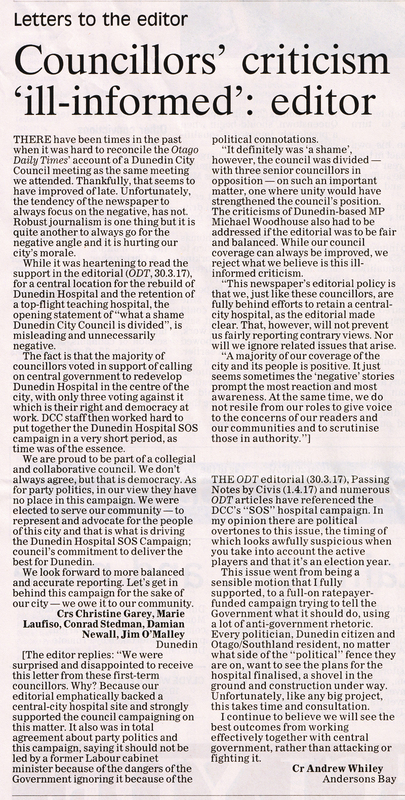 DCC reneged on previous undertaking to earmark site for Dunedin Hospital redevelopment.